Jake Higginbottom (The Australian) and Saki Suzuki (Lakelands) are the 2011 Queensland Men’s & Women’s Amateur Champions after emerging triumphant in two tightly contested finals today at the Arundel Hills Golf Club. Both matches finished on the 34th hole with Higginbottom defeating Tim Hart (Indooroopilly) 2 & 1 and Suzuki defeating Ali Orchard with the same score. The Men’s final turned out to be a wildly fluctuating affair, with Hart making all the early play to hold a 1-hole lead by the 18th. The afternoon’s round belonged to Higginbottom though, he was able turn the Championships around after winning the 22nd & 23rd. Higginbottom then birdied the 26th and 27th holes to hold a three hole advantage heading into the final 9 holes. Although Hart won a number of the final holes (30th & 33rd) it was Higginbottom that would eventually finish out the match 2 & 1 on the 35th hole. 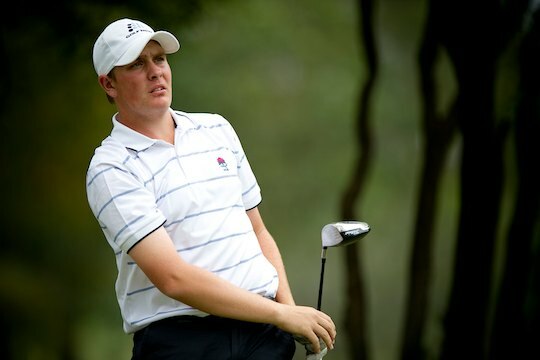 Seventeen year old Jake Higginbottom is the second New South Welshman to win the Queensland Amateur in as many years. Unfortunately for Hart he has now finished runner up for a second consecutive year in the Queensland Amateur Championship. With the conclusion of today’s event, Higginbottom and Hart will prepare for the next week’s Keperra Bowl, the world amateur ranking event will commence next Tuesday. In the Women’s Amateur Championship the final proved to be a far tighter contest than the men’s, with neither Suzuki or Orchard pulling more than 3-holes clear throughout the day. While Orchard briefly held a 3-hole advantage through the mornings’ round it was Suzuki who fought back to hold a slight advantage heading into the final holes. Suzuki was able to maintain her momentum throughout the afternoon round and found herself with a Dorme 3-up lead after the 33rd hole. The conclusion to the Championship wasn’t without drama with Suzuki and Orchard playing perfect approach shots to within three feet on the 34th hole. Orchard calmly sank her putt and left Suzuki the challenge of doing the same to end the match. Suzuki had been constant from this length all day and wasn’t to be out done, rolling the putt in and taking the Championship for the second consecutive year, winning 2 & 1. Suzuki has had a stellar run winning last week’s Queensland Women’s Stroke Play Championship at the Pines Course at Sanctuary Cove and successfully defending her 2010 Queensland Women’s Amateur Championship with today’s winning performance.